5 metre Hi-Speed USB 2.0 A to B cable. USB-IF certified to ensure that your USB devices will work and operate at the fastest speed possible. USB 2.0 extends the speed of the peripheral-to-PC connection up to 480Mbps - 40 times faster than USB 1.1 when connected to another USB 2.0 device. USB-IF certified to ensure that your USB devices will work and operate at the fastest speed possible. USB 2.0 extends the speed of the peripheral-to-PC connection up to 480Mbps* - 40 times faster than USB 1.1 when connected to another USB 2.0 device. 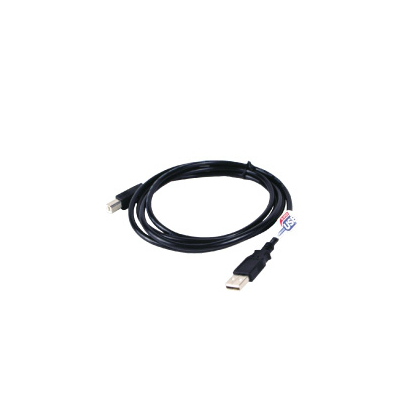 The USB 2.0 cables can also be used to connect legacy USB 1.1 devices. The higher bandwidth supports applications such as digital image creation and web publishing, where multiple high-speed peripherals run simultaneously.